In 2018, the crypto market got to a point where we couldn’t recognise it anymore: What had been a playing ground for investors in 2017 had become a nightmare in the blink of an eye. 2018 was also the year that stablecoins made their definitive appearance in the market. Whereas stablecoins’ only purpose had only been to hold money in exchanges, 2018 saw them become the preferred strategy for users to safeguard their trading profits while patiently waiting for the flowing charts to showcase an opportunity. On paper, stablecoins sound like just what the crypto market needed: A safe way to store value without being affected by the unpredictable volatility that altcoins and Bitcoin were (and still are) going through. However, to be able to provide stability, a company needs to prove their tokens are actually worth something. Even the stablecoin giants quickly discovered that the investors and crypto media would not take anything at face value, let alone when it came down to their money. At the end of the day, there’s only one thing that counts in the stablecoin game: The ability to back up your promises. Having Tether questioned opened the door for many other stablecoins to be issued while USDT kept its spot as the #1 stablecoin. And exchanges also quickly discovered what a lucrative game stablecoins could be, keeping their investors’ money in their system for longer and allowing for free, easy press. Among this panorama, however, few seem to have noticed what a true game changer could be for stablecoins. Mainly concerned with getting as many investors to safeguard their profits on their stablecoins, issuers of these currencies seem to have forgotten the adoption problems of the crypto world. A running joke among crypto enthusiasts is to call something promising an adoption trend ‘the new ETFs (or Bakkt, or Lightning Network)’, referring to previous unfulfilled promises. The joke, meant as innocent comment, still has some truth to it. 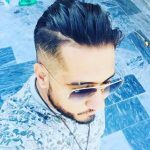 The adoption of cryptocurrencies as payment methods still hasn’t taken off, regardless of how exciting and relatively fast the evolution of this technology is, all due to volatility. Meanwhile, the issuers of stable crypto assets seem conveniently focused on tending to their own matters. Or so they were until a new player showed up. 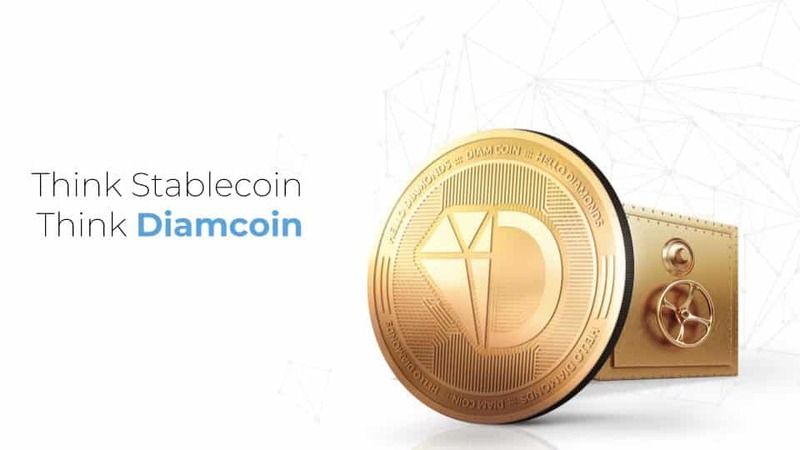 Developed by Hello Diamonds, DiamCoin aims to be the revelation stablecoin for 2019. DiamCoin is the first asset of this kind to be backed by physical assets, an extraordinarily-performing asset over the last decades. DiamCoin works around a smart-vault system endorsed by Nobel Prize Laureate Sir Christopher Pissarides. Issued by Hello Diamonds, a company that has managed to create technologic solutions to interconnect the diamantaire industry, DiamCoin has a very clear initial use case: Providing liquidity to diamond buyers and manufacturers, opening the gates of this industry to the public. However, DiamCoin is about more than purchasing diamonds: Envisioned towards allowing users to access financial freedom, the new stablecoin will take advantage of its diamond-backed condition to facilitate seamless, global payments at any time. DiamCoin will also be launched along with DiamDrop, a sister platform that allows users to purchase diamonds at a discount directly from manufacturers using the token. Having a unique token that can foster adoption and improve crypto payments is only the start for DiamCoin, and it’s clear that a great idea, in the right hands, can go far. On future articles, we’ll touch on how the company plans to conduct its future actions, as well as the most recent listings and partnerships.